The new funding values the company at $25 billion. 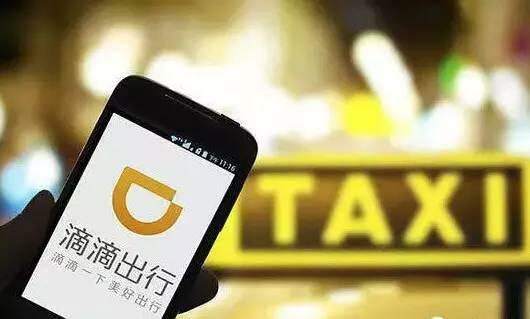 China’s largest car-hailing mobile app, Didi Chuxing Technology Co., announced a $600 million investment from China Life Insurance Co., the country’s leading insurer on Monday, bolstering its resources to finance its battle against American-owned Uber Technologies Inc. According to Didi, the deal included $300 million worth of equity and a long-term debt of $305 million from China’s largest state-owned commercial insurance conglomerate, making the company’s latest funding value the group at $25 billion. “We believe this strategic partnership will bring long-term value to both parties,” Jean Liu, President of Didi, said in a statement. It has also recently been reported that the funding by Asia-Pacific’s largest insurer followed an investment worth $1 billion by American tech firm, Apple Inc., a venture made by the company which, according to its CEO, would help it better understand the Chinese markets. China’s two biggest internet companies—Tencent and Alibaba—are also named as Didi’s investors. Chinese finance such as the China Investment Corporation, China Merchants Bank, and Ping An Ventures were also included in the list of its backers. The investments by several Chinese financial elite have further strengthened Didi’s position as China’s number one ride-sharing company and posed a threat to Uber’s expansion in China. Didi said that it holds 87 per cent of the private car service market and almost a hundred per cent share of the ride-sharing service market in the country. Uber, who has recently raised $3.5 billion from Saudi Arabia’s wealth fund in new resources earlier this month, on the other hand, has its market share at 30 to 35 per cent. The competition between two car-hailing mobile apps has cost billions of dollars spent for subsidies among drivers and passenger discounts in order to gain market share in China. This has already raised speculation among the local media that Didi and Uber might join forces as the former was known to have teamed up with a local rival last year. Sources also said in May that China’s leading ride-hailing service has already completed more than 11 million rides a day and served almost 300 million users.